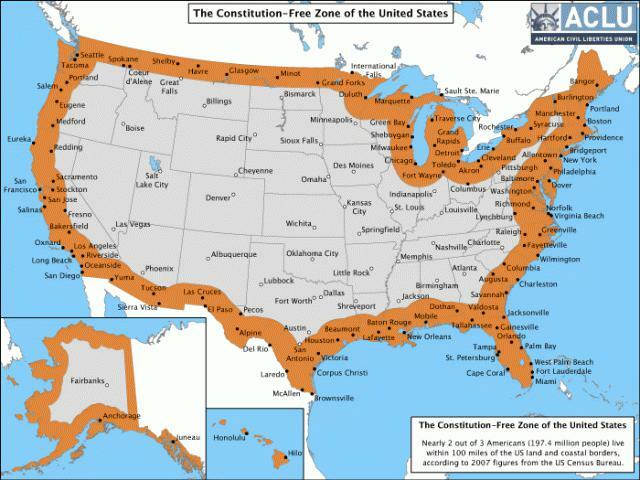 The United States Constitution-Free Zone is the backdrop for the latest war-crimes that are being committed against the people of the United States. This dead-zone has been created, but has not yet been activated. It’s one hundred miles wide, and it surrounds the entire United States. There is no proof that it can successfully do what it was designed to do. That will depend on what the public does in response to global-high-treason, throughout the USA. members totally ceremonial, rather than the second of the three branches that once made up the constitutional government. The legislation which congress supposedly writes is written-instead by thousands of paid lobbyists, while the congress just collects their bribes. This is continually covered up by the propaganda-arm representing the traitors & treason in the US—against the people they supposedly serve. The Executive branch under Barry Soweto has been writing illegal-laws non-stop; since he began his second illegal term. Obama has made himself Judge, Jury & Executioner for every American anywhere in the world today—yet the nation remains silent. Recently something huge has happened to the design of this international-crime that could change everything if people understand what exactly has actually been “changed”. When the wars this country began with (over two-hundred hostile invasions of other nations): The territory of the United States was not the target of those crimes against humanity. Consequently the legalities we used to excuse what we did to millions upon millions of other people were excused by our leaders, because those crimes took place outside this nation. (Thereby excusing what was done, because it did not happen on US soil). 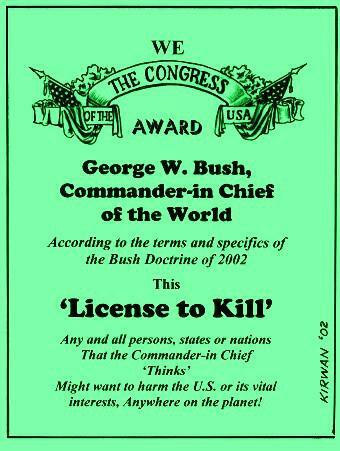 That succeeded until George Bush accepted this License to Kill, which the congress illegally awarded to him after 911. 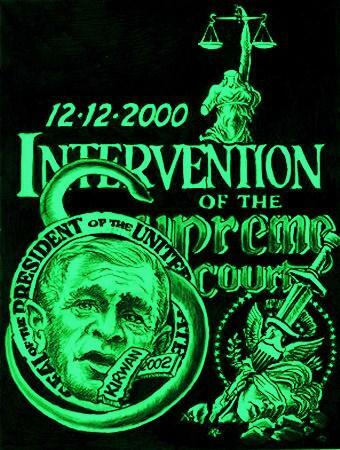 When George Bush made every person on the planet subject to his whims, in the Bush Doctrine of 2002, the public failed to take specific notice of the change which this license created. They were able to do so because this ‘seemingly’ did not involve the lives of American citizens—yet! Had the public read the license for themselves, they could have seen back in 2002 that the license applied to everyone. Had people realized what this license contained at the time, Bush would have been impeached, and this would not be happening now. But when Obama signed into law his illegal NDAA law, on New Years Eve of 2011, with the inclusion of American citizens in its provisions a huge change occurred. This has still not registered with the people of this country even though this has been going on now for over a year and a half. When the traitors made the entire world subject to the treasons of those running this place: In effect declaring our leaders to be the leaders of the entire world—they unconsciously made themselves targets of their own designs: Therefore they are now subjects that can and will be prosecuted by the International World Courts for crimes against humanity and for everything else which they have done since the beginning of the new Millennium. They made this possible when they extended their self-appointed rulership from the captive USA to the entire world. 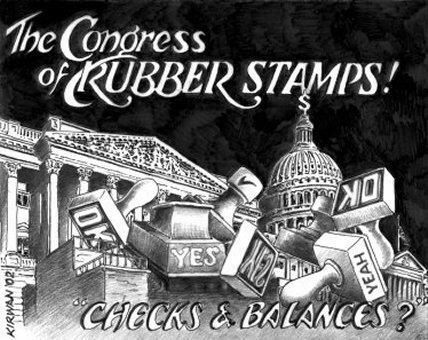 Obama’s NDAA was an extension, in fact, of the beginning document contained in the Bush Doctrine of 2002. All of this has become clear as U.S. drone-murders strike around the world. The COURTS broke the constitutional provision against INTERVENTION in any presidential election, and since that decision, this nation has been run by OUTLAWS. been claiming the entire world as our jurisdiction, since Bush stole the office. That makes everything we are doing to the world our real and legal-problem. Ironically it also makes our outlaw-leadership subject to all the laws that they were always before immune to—before THEY claimed ownership of the lives of everyone on the planet. As long as what we did to “other people” remained outside the borders of the USA, these criminals were technically safe. But once both Bush & Obama declared that we now owned the entire planet—then the protection which allowed this cancer, together with USrael, to grow into the nightmare the world is now living in: Then any protections we formerly had as a single independent state have now vanished. When we declared that we now own the lives of anyone and everyone on the planet no matter where they live—the United States has become a global-war-criminal, together with Israel that has been illegal since before they blackmailed their way into the UN, to officially “become” a state. No other state on the planet was ever ‘created’ in the same way that Israel was. Israel owes its current existence solely to the Rothschild’s global-influence and patronage. Beginning with Napoleon at 12 minutes into this one hour video, the reasons behind the phenomenal rise of the Rothschilds massive fortunes, becomes relevant to today’s problems with stock markets, and the global problems with money everywhere. What was done by the Rothschilds in stealth over the battle at Waterloo was replicated during and after 911 in the “puts” that were laid against the airlines that suffered on that September day in the United States. These are facts that few concentrate on even today. Of course the records of who gained from those treacherous “puts” was eliminated when the records of the transactions were destroyed in the fall of Building 7, which covered up the extent of those treasonous crimes for anyone in the future to find. This was another truly Rothschild move to protect their global leadership as the world’s richest outlaws. Included in that crime was a huge amount of gold that vanished from the basement of building 7, where it had been on trucks, just before the attacks on the twin towers. That gold has not been found to date. As long as we did what we did routinely as a criminal colonial empire, together with our supposed allies, we remained legally untouchable. That is how the shadow government was able to hide our real involvement when Bush & Obama began to speak about the sacredness of Freedom & Democracy that we would be bringing to places like Afghanistan and Iraq; supposedly with a variant of the US Constitution that magically never arrived. Simultaneously of course all of those ideals began to vanish in the United States as we continued to fight our losing wars in both those overseas nations. Yet Amerikans refused to notice how any of these criminal actions were progressing or failing to succeed? In 2000 the gloves came off. We began to make war upon America as well as the world outside our borders. Because that was blatantly done: The shadow world lost any shred of justification for their arrogance in the way in which we (they) had begun to fight this global-war upon the world. Once Obama raised the bar and included every man, woman and child in this country in his list of targets globally ­ the old U. S. became the global-outlaw in reality that we had formerly always been - when these traitors were protected because they had confined their crimes to nations outside the USA. Once both the Bush & Obama administrations began to build their case against the world—they had simultaneously begun to liquefy their own protections, from global-law-enforcement, which they previously had enjoyed. Once we declared WAR on everyone on the planet, then the world could directly respond to our crimes. Now we can begin to end this nightmare not just here, but everywhere the people of the world will now begin to demand answers, from their own governments, as to just who shielded the US & Israel from ever answering for their crimes! The Zionists are the quintessential thugs responsible for representing the Rothschilds militarily, throughout this blatant attack upon the planet. USI has not been the only criminal-state involved in this horrific chapter of human-history. Hence the world can finally have a voice in what the richest name in all of human history, ‘The Rothschilds’, is doing to the planet. Perhaps after all these centuries the people in every country can come together and eliminate this evil-incarnate-force from the global-stage. Which the Rothschild’s fortune has encouraged everywhere!